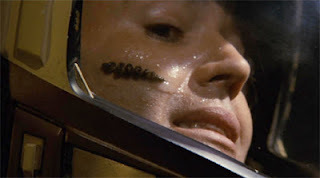 Whenever I hear the term "earworm" I think of that creepy scene in Star Trek II in which Khan goes after Captain Terrell and Commander Chekov with a couple of Ceti eels. Not a pretty sight. In reality, earworms are annoying tunes that get stuck in your head. But like Ceti eels, they burrow into your brain and drive you crazy. Fortunately, it seems someone has finally discovered a way to remove them. According to a report in The Telegraph, researchers believe the best way to get rid of an earworm is to solve anagrams. If you don't have access to a book of anagrams, reading a novel may also help alleviate the suffering. The key is to find something that will give the right level of challenge. If you are cognitively engaged, it limits the ability of intrusive songs to enter your head. Something we can do automatically like driving or walking means you are not using all of your cognitive resource, so there is plenty of space left for that internal jukebox to start playing. Likewise, if you are trying something too hard, then your brain will not be engaged successfully, so that music can come back. You need to find that bit in the middle where there is not much space left in the brain. That will be different for each individual. It is like a Goldilocks effect – it can't be too easy and it can't be too hard; it has got to be just right. Interestingly, the research found that Lady Gaga (whose name cannot be spelled without "GAG") was the artist most responsible for creating dreaded earworms. Seems rather fitting to me. The anagram for Ceti eels is "ice sleet," and the anagram for Ira Hyman is "aria hymn."